Engadget today reported that it has the exclusive first details on the much rumored Sony “PlayStation Phone”. The site claimed to have exclusive details on its hardware and software details for the phone. 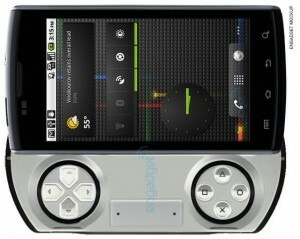 The new playstation phone is daid to resemble a PSP Go with gaming controls without a keyboard as one would imagine. The gaming keyboard has a directional pad, a touch area and the standard buttons. The phone is said to have a large display anywhere between 3.7 and 4.1 inches with WVGA and also is to come with a 5 megapixel camera It is said that it will be loaded with a 1GHz Snapdragon CPU on board. The phone is rumored to run Gingerbread with some customizations and users could play a variety of classic playstation and playstation portable games. The site also reported that the phone could be out as early as October so sit tight as we confirm this news. You can read the Engadget article here. Previous Tech Loot? BBC loses laptops and mobiles worth $500,000! Next Apple Working on a Liquid Metal iBike!